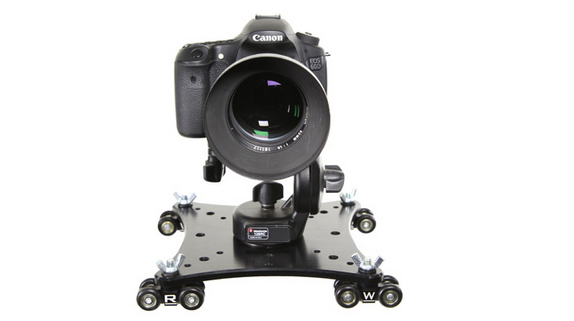 RigPlate is one of the most versatile pieces of camera mounting hardware you can own. Versatility is king at RigWheels. RigWheels designs everything with versatility in mind and the RigPlate camera cheese plate delivers. 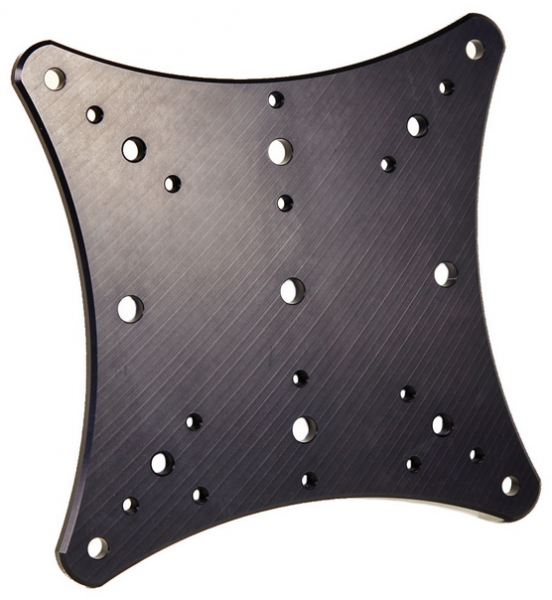 The first function is to serve as a camera mounting plate to attach MicroWheels to. 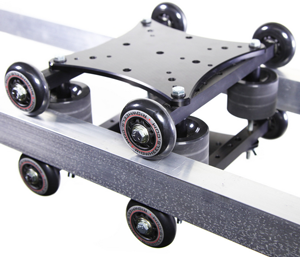 One RigPlate and one set of MicroWheels provides you with smooth movement as a table-top / skater dolly that you can use on any smooth hard surface. 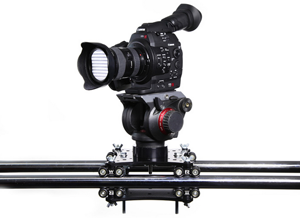 Using Rigwheels RigPlate as a pipe dolly gives you scalable slider / dolly option that is tailored for the new generation of mid-size and compact cameras. Attaching two RigPlates together creates a captive-rail camera carriage that allows secure camera movement at any angle. Using RigPlate in conjunction with RigAxels adds even more capability to this simple affordable system with a more traditional table-top dolly setup and a robust pipe-dolly option. RigPlate is a great camera support platform and it can be used for much more than camera movement. With the amount and variety of mounting points there are an endless variety of accessories that can be attached. There are (14) ¼-20 and (4) 3/8-16 threaded holes (industry standard sizes) in addition to four 5/16” and five 3/8” pass through holes. A RigPlate can be turned into a rock-solid suction mount by adding A-Cups, B-Cups or C-Cups. One thing we’re excited about is our new RigMount products. New camera technology allows us to use magnets which would have never been considered a few years ago when using video tape. The hi-power RigMount magnetic mounts provide a new solution for mounting cameras in unique and different ways. A single RigMount is also a great solution for mounting sports/action cameras and smaller still cameras. Weiterführende Links zu "RigWheels RigPlate RP01"
2.259,81 € * mit MwSt.